Plus http://plus.maths.org is a free online magazine about mathematics aimed at a general audience. 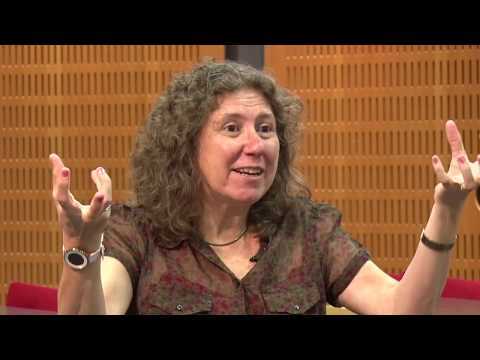 It is part of the Millennium Mathematics Project, based at the University of Cambridge and our aim is to open a door onto the world of maths for everyone. We run articles, videos and podcasts on all aspect of mathematics, from pure maths and theoretical physics to mathematical aspects of art, medicine, cosmology, sport and more. Plus has a news section, covering news from the world of maths as well as the maths behind the mainstream news, reviews of books, plays and films, as well as puzzles for you to sharpen your wits. 1.3 billion years ago, in a galaxy far, far away, two black holes circled each other. Each black hole was around 30 times the mass of the Sun, but less than 300 kilometres wide. They spiralled around each other at about half the speed of light, until finally they merged in a collision that involved more power than 50 times the total power output of all the stars in the Universe. The catastrophic event caused gravitational waves – ripples in the fabric of spacetime – that rang out at the speed of light across the Universe. 50,000 years ago, when the Neanderthals were walking the Earth, these gravitational waves reached the edge of our galaxy. Two years ago, on 14 September 2015, they emerged at the two LIGO detectors in Louisiana and Washington, USA, and provided our first observation of gravitational waves, our first direct evidence for black holes, and the beginning of a whole new era of astronomy. And this month the detection earned Rainer Weiss, Barry C. Barish and Kip S. Thorne the 2017 Nobel Prize in Physics. A Nobel Prize in physics is always also a Nobel Prize for mathematics, at least in part, and this year’s prize is no exception. Mathematical considerations led Albert Einstein to predict, much to his horror, the existence of black holes, and also the existence of gravitational waves, both theoretical consequences of his general theory of relativity. This was over 100 years ago. Efforts to observe gravitational waves (which Einstein thought would be too weak to ever be seen by humans) began in 1985, under the direction of Thorne, Weiss, and Ron Drever. Detecting those faint signals from outer space not only required a major technological triumph, but also put Einstein’s equations to serious use in high-powered computer simulations which told physicists what they could expect to see. Once signals come in, sophisticated statistical analyses are essential in telling the real thing from all the noise. When the discovery came on 14 September 2015 it took everybody by surprise. The two LIGO sites at Washington and Louisiana were still preparing for their first search for gravitational waves with the new generation Advanced LIGO detectors, scheduled to begin just three days later. As the detectors were being tuned up, a gravitational wave signal hit, first at Louisiana and, seven milliseconds later, at Washington. The two waveforms exactly matched. The signal was so strong it could even be seen by eye. Physicists have high hopes of what gravitational waves may tell us in the future. They should be able to confirm or refute mathematical conjectures about the nature of black holes, such as Stephen Hawking’s famous no hair theorem. They may even provide glimpses of the birth of the Universe and help us along with what’s perhaps the most mathematical goal of theoretical physics: to formulate the theory describing the fundamental forces of nature in a single mathematical framework. To find out more about gravitational waves and their detection, see our articles and videos based on a lecture by Kip Thorne and an interview with Gabriela González (here in the cover image). Albert Einstein brings us to another topic we recently explored in Plus: how to order events in computer science. I turn on my laptop. I open the file for this article. I start typing: the letters appearing with each keystroke, building to words, sentences and paragraphs. I save the file. I scroll back to reread. I move the cursor to edit the text: deleting some, moving some, typing more. I save the file, I scroll back to reread, I edit some more, until I feel this article is done. That’s my view of the events taking place on my computer as I write this article. I’m aware that behind each of these events complex operations are occurring: in the text-editing software, the computer’s operating system, the machine code that translates between software and hardware. And underlying it all, this text ultimately exists as strings of 0s and 1s, manipulated and stored as strings of binary digits, physically encoded into the computer’s circuitry. Computers are an interface between mathematical theory and physical reality; they operate both on a theoretical level of programming languages and data, and on the nuts-and-bolts level of the computer’s hardware. They are a pinnacle of discoveries in physics and engineering, but also in the mathematics and logic of computer science. Where does the realm of one end and the other begin? “What distinguishes computer science from physics? It’s the notion of an event.” explains Leslie Lamport, principal researcher at Microsoft Research and winner of the 2013 Turing Award. My view of the events taking place on my computer is very different to how a computer scientist, an engineer or a physicist would view what is happening inside the box. This ambiguity of the history of the order of events inside a distributed system could have serious consequences. Imagine if the banking network couldn’t agree on the order of events occurring at different locations: for example your pay being deposited through an online transfer, and you wanting to withdraw money from an ATM at an overseas airport. No money in your account would be a catastrophe! And one that hinges on the definition of events in computer science, and how to order them. 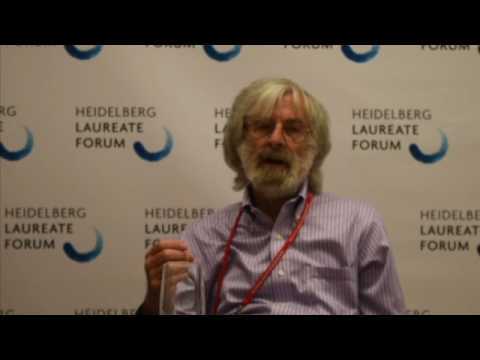 You can read more in a series of articles, based on an interview with Leslie Lamport at the 2016 Heidelberg Laureate Forum.